1. 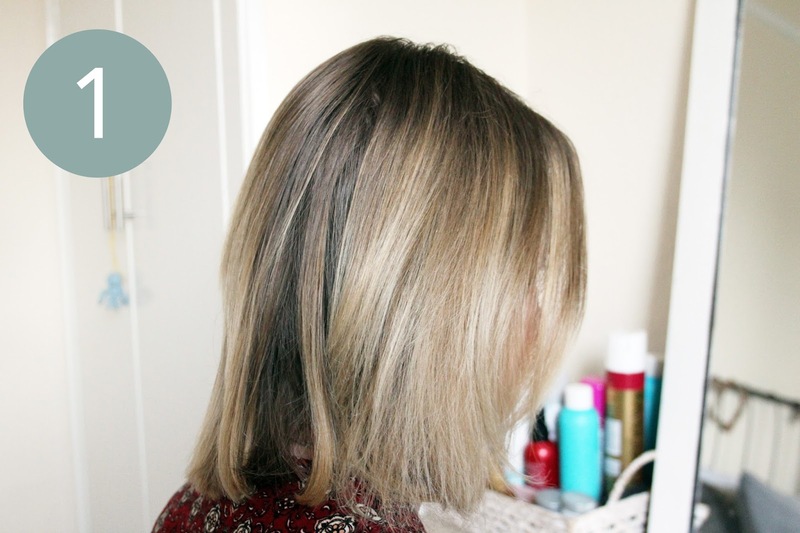 This style is best suited to day old hair, so I washed mine the day before and lightly straightened it to get rid of any frizz. Give the hair a good brush through before starting. 2. Section the hair by and clip the top section out of the way right on top of the head. 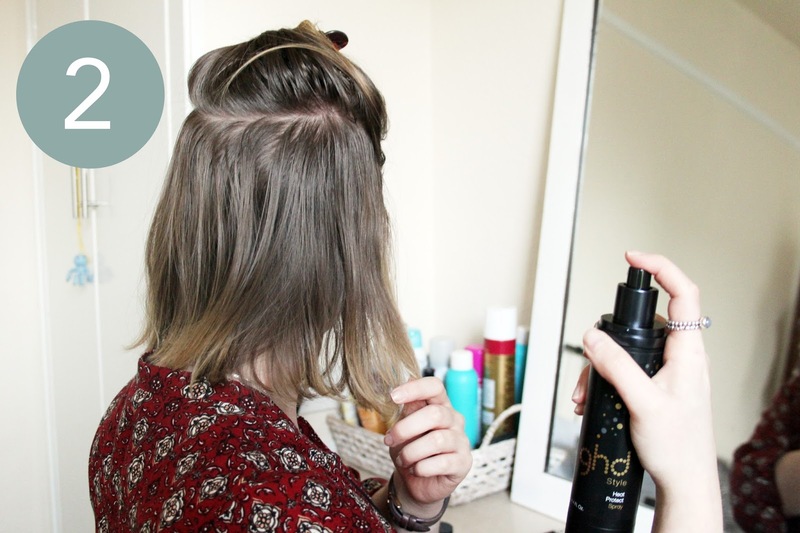 Spray the bottom layer lightly with a heat protectant such as the ghd Style Heat Protect Spray and comb through. 3. 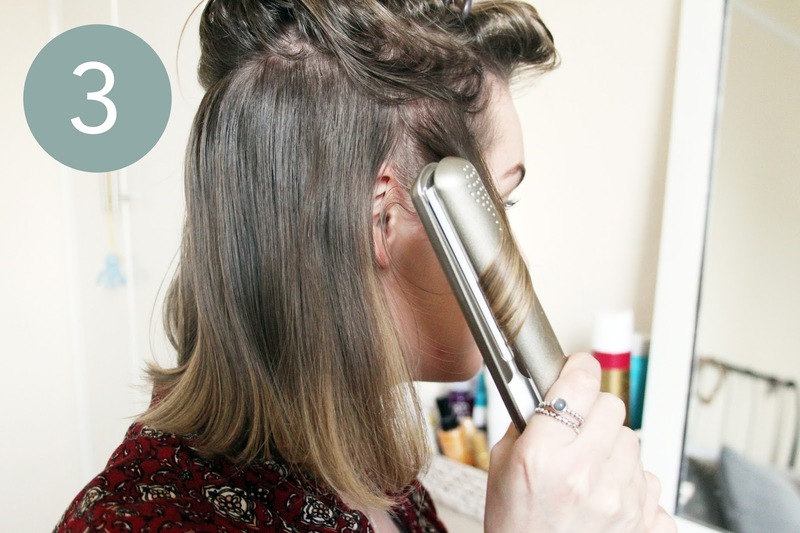 Take the ghd Styler and a section of hair, starting at the front of the face. 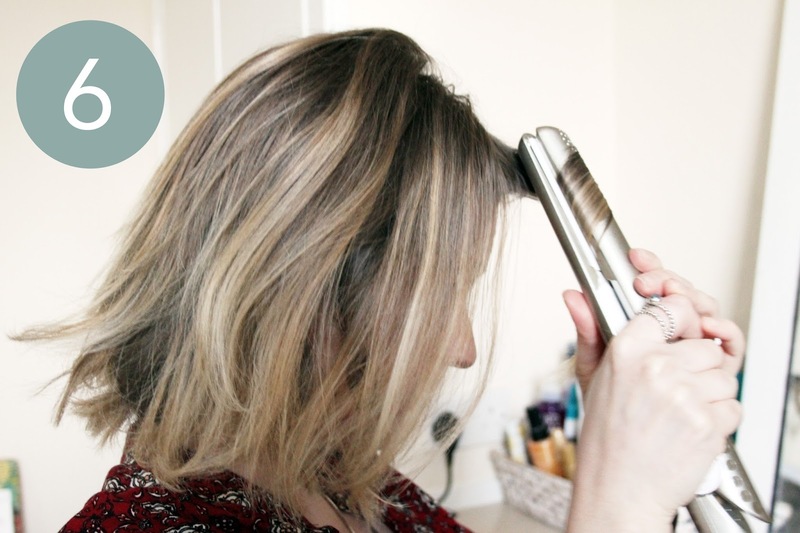 Clamp the styler together at the root, and in a slow twisting motion, pull down until you reach the end of the hair. 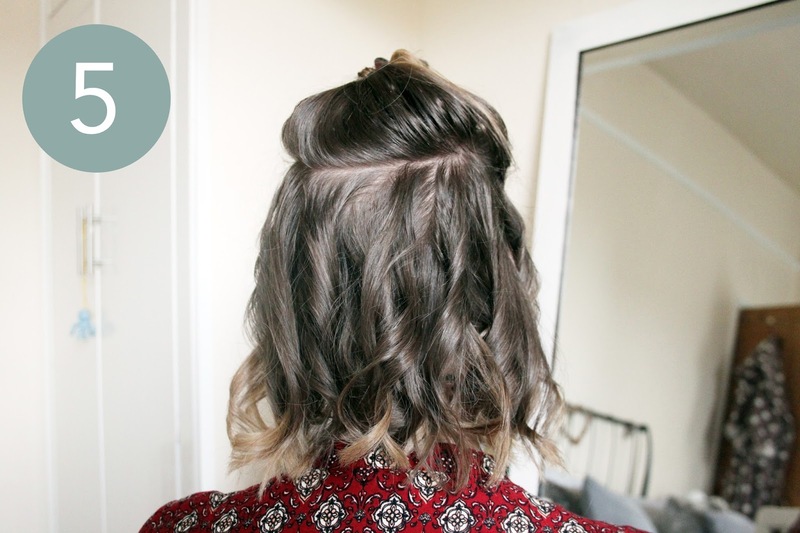 Let go to reveal a loose tousled curl. Always curl in the direction away from the face. 4. 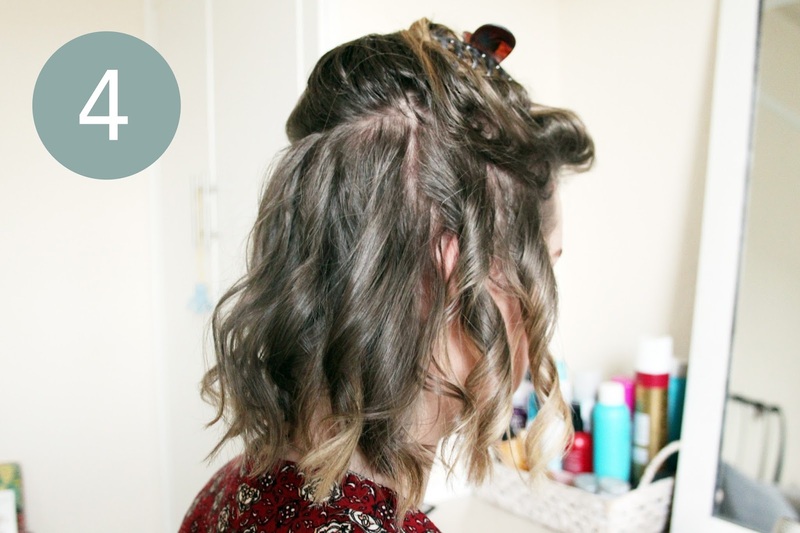 Continue curling all the hair towards the back, then start again on the other side, curling all the hair away from the face. 5. 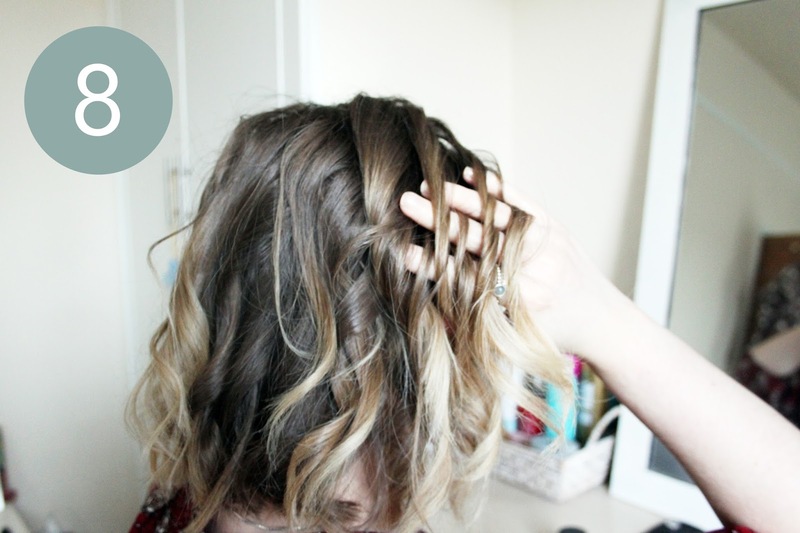 Once all the hair is curled on the bottom layer, you should be left with something like this! 6. Let the top layer down and spray lightly with the Heat Protect Spray, then repeat the whole process on this layer, starting from one side and working to the back, then moving to the other side. 7. When finished, you will be left with a head full of tousled curls that look something like this. Don’t worry if things look a little messy at this point. 8. Leave the curls to set and cool for a few minutes, then run your fingers through them gently to loosen the waves and tease them apart. 9. 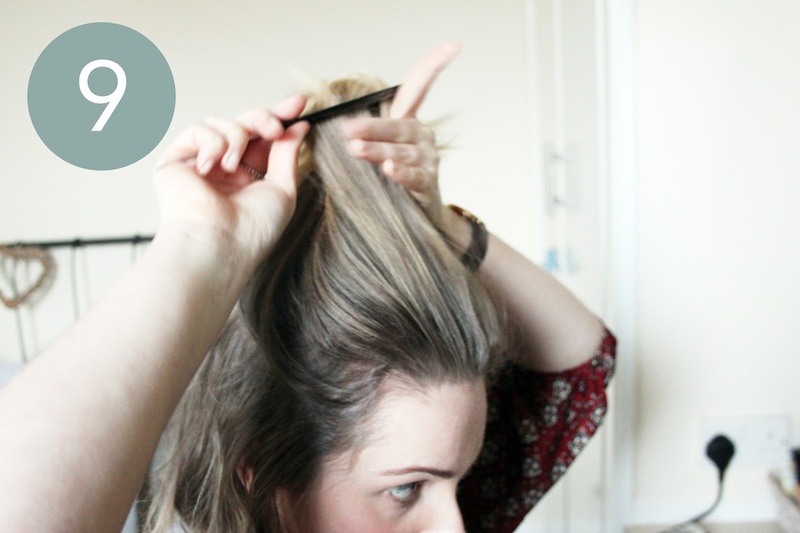 Using a tail comb, neatly section the hair ready for the pony tail around half way between the ears and top of the head. 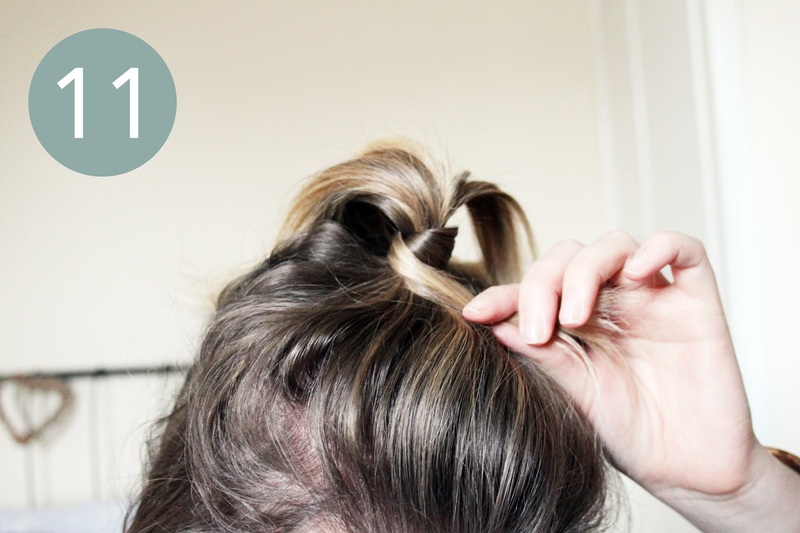 Comb the front of the hair back in to a neat ponytail and secure with a small hair tie. 10. 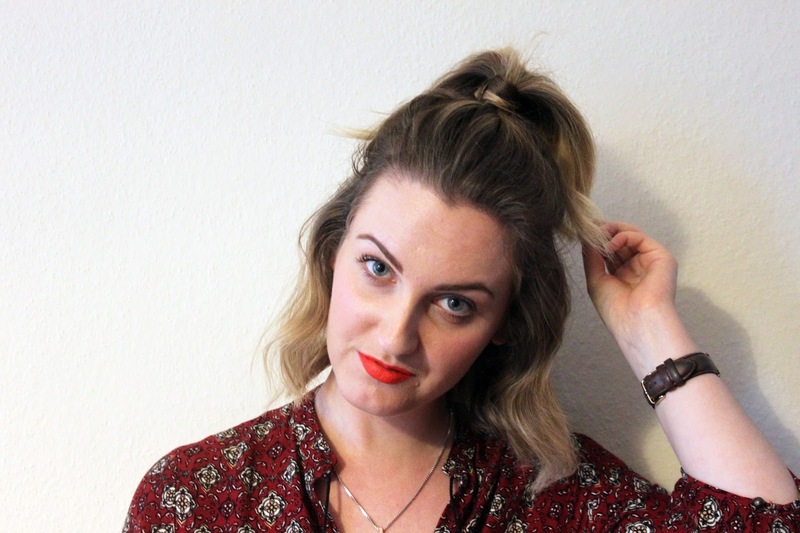 Once your happy with the position of the pony tail, gently tease at the roots, pulling section gently forwards to create more volume at the base of the hair tie and front of the hair. 11. 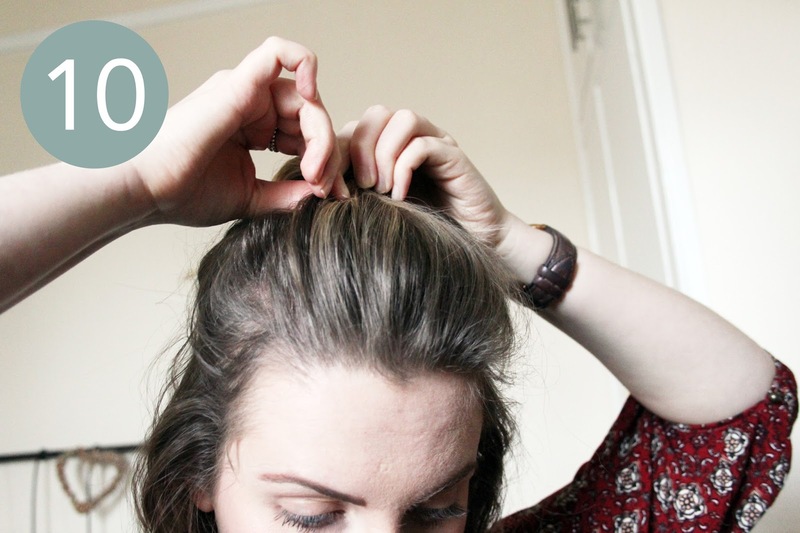 Take a piece of hair, around 1cm wide, from the ponytail and wrap tightly around the hair tie to cover it. 12. 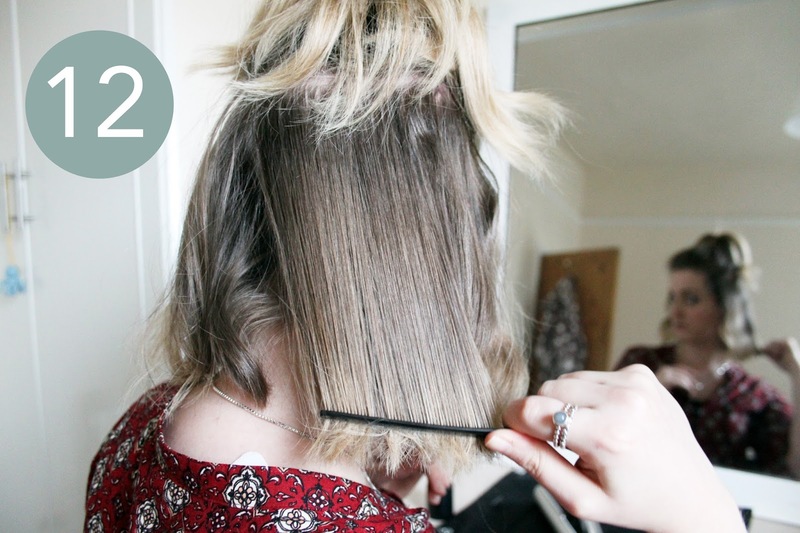 Gently comb through the underneath section. It may feel like you’re ruining all your hard work here, but trust me! You will be left with lovely natural bouncy waves. 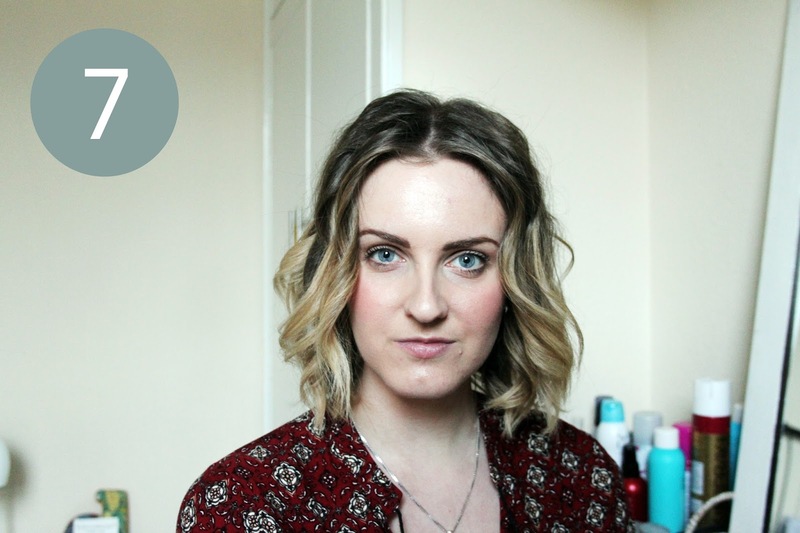 If you’d prefer to skip this step and keep the more separated tousled look then go ahead! Ta-dah! Super easy and great for off duty days or Christmas parties! 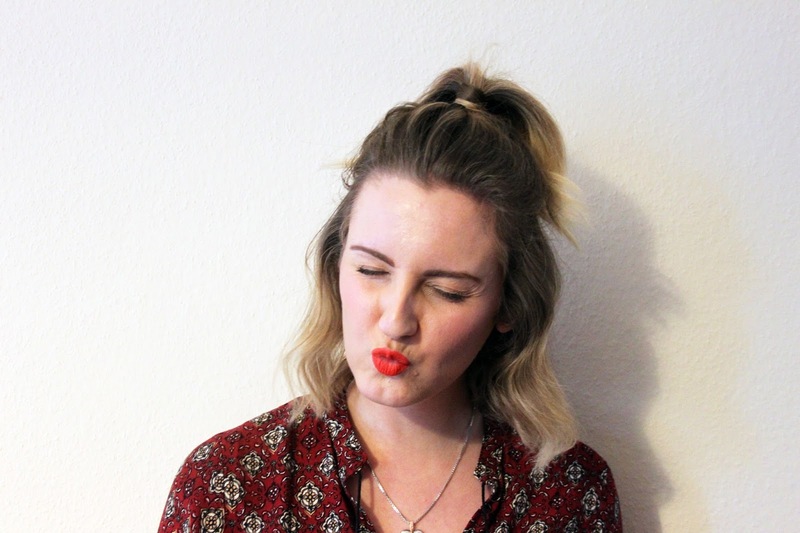 I’ll be sporting this style over the Christmas break for sure, and can imagine it looking really cute with a throwback to the 90s in the form of a glitter scrunchy! 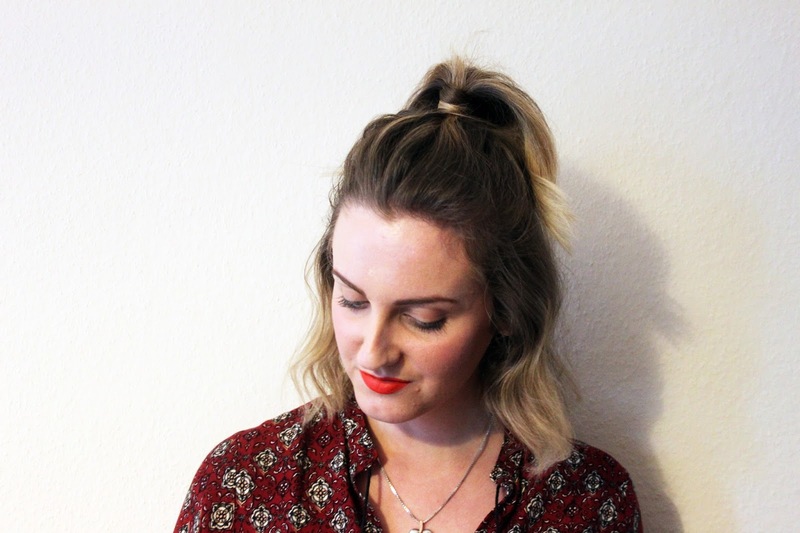 If your hair’s long enough, you could even try plaiting the section that you wrap round the bobble, or if you’re blonde, add some colour with a bit of hair chalk! 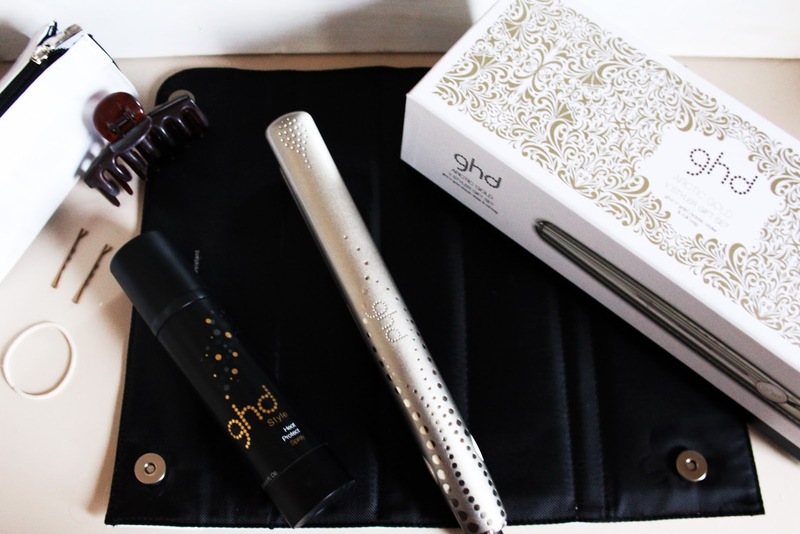 What are your favourite styles to create with ghd Stylers?